I was just browsing info for various books and came across this book by Mohsin Hamid on Amazon. It has topped the best seller list on Barnes & Noble. What particularly got my attention was the mention of Lahore's Anarkali market. I went on the hunt for reviews and critiques and found glowing reviews for it by readers, blogs and magazines. It is a short book at 192 pages and can easily be read in one sitting. It is, now, one of those books which are on my "must get" list. Mohsin Hamid grew up in Lahore, attended Princeton University and Harvard Law School and worked for several years as a management consultant in New York. His first novel, Moth Smoke, was published in ten languages and was a winner of a Betty Trask award, a finalist for the PEN/Hemingway award, and a New York Times Notable Book of the Year. His essays and journalism have appeared in Time, The New York Times and The Guardian, among others. Mohsin Hamid currently lives, works and writes in London. I bought the book last week from Saeed Book Bank. It has been published in Pakistan by Oxford University Press and is available for PKR195 which equates to about US$3.25. It is pretty cheap so I request people reading this article from Pakistan to get a copy (it's cheap!) and read it. About the book, it exceeded my expectations. Many times since 9/11, I have tried to put my feelings and concerns to words but have failed each time. Mohsin Hamid captured my own thoughts on various issues and outlined the conflicts of identity crisis which I have often wondered about. I believe this book also gives good insight into the reasons for dislike of America. Many Americans wonder why the world dislikes them so much despite the good things they do. This book can be a good start to finding an answer to this particular question. 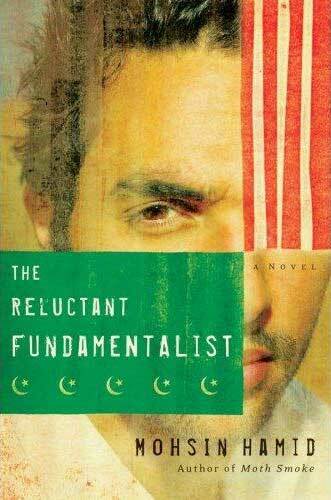 Kudos to Mohsin Hamid for writing this book. I consider it money well spent. Short book a little hard to read . you actually haveto be in a mood to read this book.